You know I'm not a fan of whoring the blog for ads....but.... I'm gonna make an exception for THIS site. 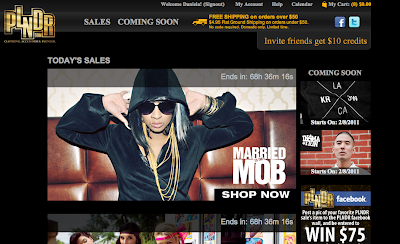 PLNDR is an amazing site, an extention of karmaloop but with greater, BIGGER savings and cheaper shipping. Sing up here, and test it yourself.